According to the suit, Depp kept a sound engineer on the payroll so he could feed him lines through an earpiece while filming. 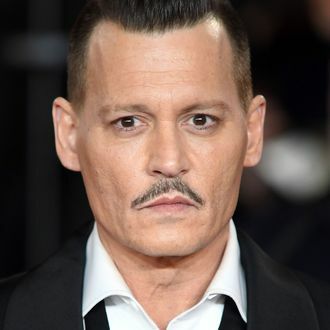 This Depp does not deny, saying the sounds fed to him made him act with just his eyes. Kirsten Dunst first dropped Vulture a line about Depp’s habit back in 2008. Turns out he’s not listening to a Hollywood Vampires single, but a baby crying.